March Issue: Much Ado About? If last month was "everything is falling apart with China", then this month is "oh, nothing that bad actually happened". 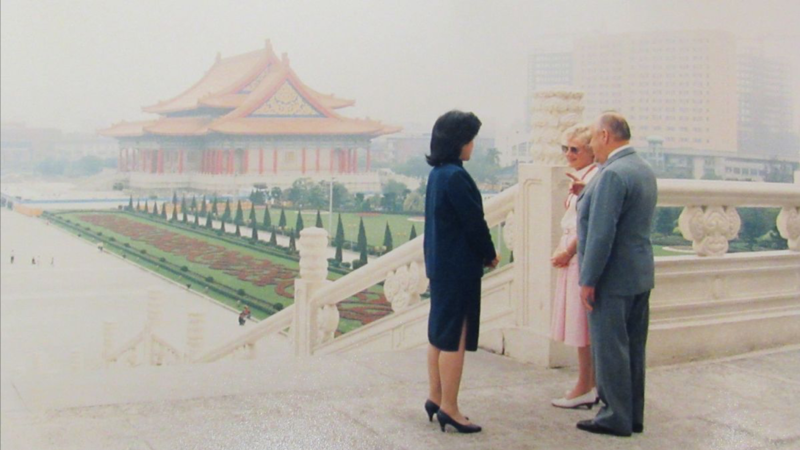 Firstly, the China-New Zealand Year of Tourism launch is back on, with China's Minister of Culture Luo Shugung deciding to pay a visit to Te Papa at the end of the month. Secondly, the PM's visit to China is also back on, with a date having been agreed but not announced yet. Last month's two crises have been resolved and as predicted, nothing really got worse. This raises an interesting question about all the negative news last month: did the media jump to conclusions too quickly? The general view at our recent politics event was yes. Speakers explained that this is due to the lack of transparency in the Chinese government, which makes it hard for outsiders to figure out the intention behind their decisions. With things seemingly back to normal now, perhaps we'll wait for more real evidence of a rift (see: Canada-China relations right now) next time before proclaiming one in the news. It feels like nothing else right now is that important compared to the heartbreaking events that happened in Christchurch last week. The events were absolutely devastating to hear about, and yet for many Muslims, it wasn't a surprise. One thing that we have banged on about in our newsletters is the often irresponsible (and let's face it, racist) rhetoric used towards immigrants by our politicians and media. I mean, our current Deputy Prime Minister has suggested Muslims are "two faced...present[ing] the acceptable face to one audience and the militant face to another". This is not good enough and has never been good enough. In the wake of last week's events, there needs to be a reckoning of how we talk about minorities. One of the mildly frustrating things to hear as a migrant this past week is the proclamation that "this is not us". Most minorities in the country have experienced racism and can probably tell you that this, evidently, is us. Or at least a part of us. What is important now is how we deal with this part of us and make New Zealand a more tolerant and understanding country. After all, isn't improving our country in this way what being a real patriot is about? 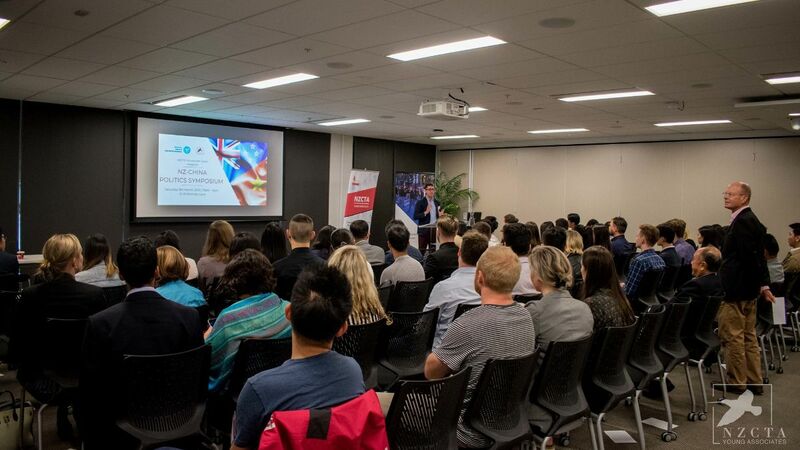 We recently held our launch event, the "NZ China Politics Symposium". Seven speakers with backgrounds ranging from academia, government and industry all gave their take of what the current relationship is like. Highlights included Dr Stephen Noakes asking us to consider how much we focus on China in the NZ-China relationship, John McKinnon giving us a run-down of the three periods of NZ-China relations and MFAT's Arun Jain updating us on the current status of the FTA upgrade negotiations. Thank you to all those who attended our first event of the year! Special thanks to North Asia CAPE for their collaboration. Read about it here. View photos here. Want to meet new friends or someone who can help you with your career? Want someone who can support you and who you can bounce ideas off? Or do you just want to win two free tickets to our next event? We're looking to launch a buddy/mentoring programme in April and want to hear from you so we can make it the best it can be! We want to know what you want and your thoughts on how our new buddy/mentoring programme should work. Have your say and be in to win two free tickets to our next event. #3. Business Desk: Much Ado About? 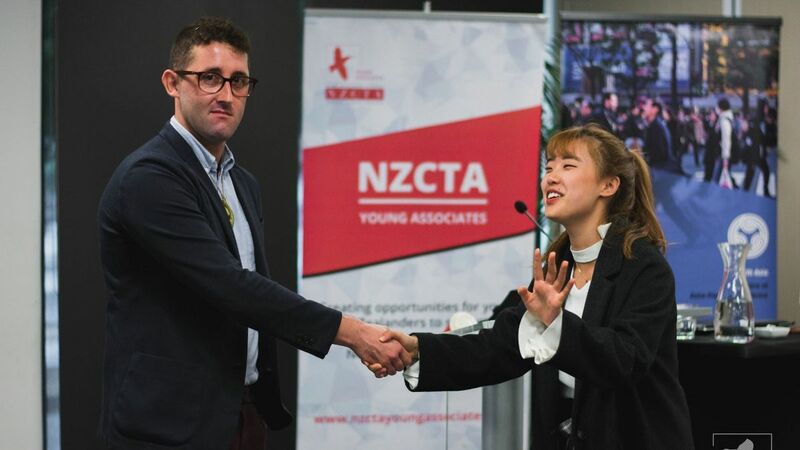 Recent media coverage seemed to suggest a cooling NZ-China relationship, with a large part of this coverage originating from trying to guess the intentions of a scheduling delay. This article from the Lowy Institute, co-authored by our own Liam Finnigan and Dr Stephen Noakes from the University of Auckland, brings a well-researched perspective to our most important economic relationship. It concludes that recent events reflect a “continuation of a long trend of recognising differences and cooperating where we can". The article also describes how in light of historical context, any issues China perceives to have with NZ (and vice versa) appear to be “laughably minor”. Well worth a read. Crazy Rich Asians' showed the world what can happen to hardworking, conscientious Asians (they become Cinderella). But what about sleepy Asian underachievers? For our dream of a true spectrum of Asian representation to be fulfilled, stories of all types need to be told. 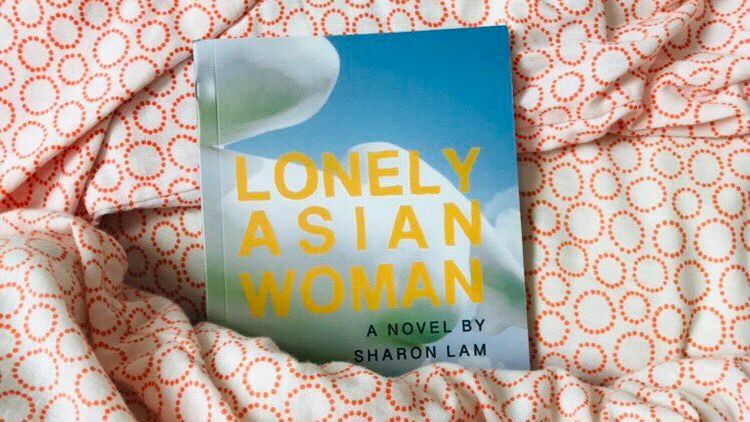 The release of Sharon Lam's debut novel "Lonely Asian Woman" is a step in this direction, telling the tale of Paula, a stagnating young woman stuck in a rut. It's not often that an Asian New Zealand author is published, even less so for a novel which subverts stereotypes. We at YA are super excited to read it! Buy it here. Read an excerpt here. Have an idea or opportunity you would like us to offer? Would you like to be part of the Young Associates? Have general questions/comments? Let us know below!